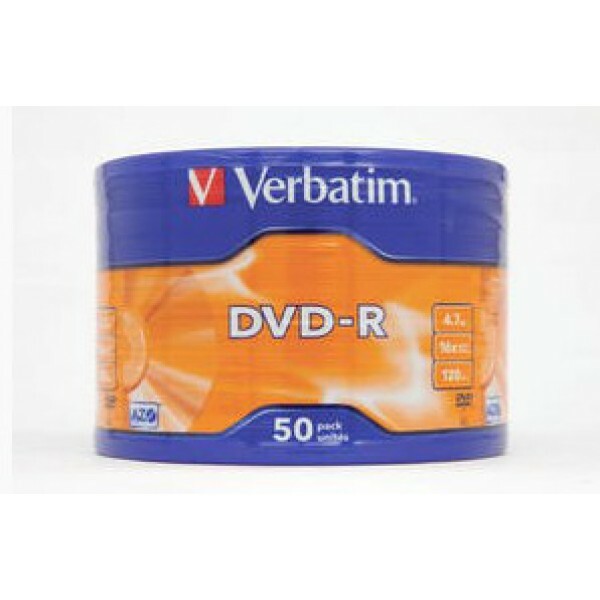 Verbatim DVD+R Matt Silver. Native capacity: 4.7 GB, Type: DVD+R, Quantity per pack: 10 pc(s). Package type: Spindle..
Verbatim VB-DPW44JC. Native capacity: 4.7 GB, Type: DVD+RW, Quantity per pack: 5 pc(s). Package type: Jewelcase..
Verbatim DVD+R Double Layer Inkjet Printable 8x. Native capacity: 8.5 GB, Type: DVD+R DL, Quantity per pack: 25 pc(s). Package type: Spindle..
VERBATIM - CD-R + SLEEVE BUNDLE..
Verbatim CD-R 52X 700MB 10PK OPS Wrap EP. 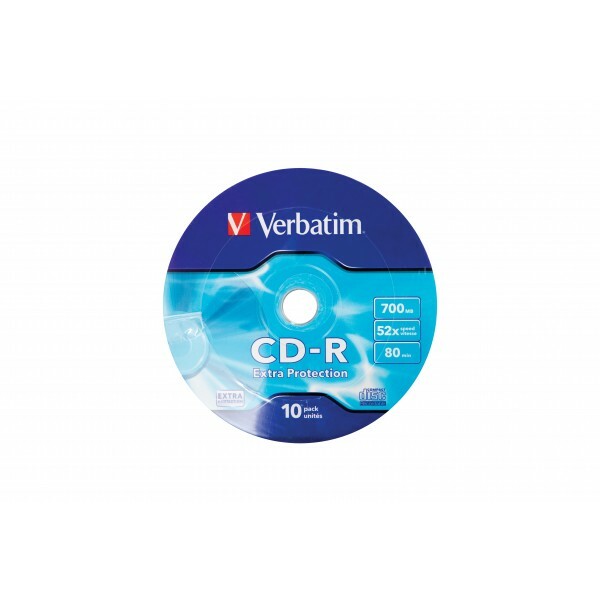 Type: CD-R, CD storage capacity: 700 MB, Quantity per pack: 10 pc(s). CD write speed: 52x. 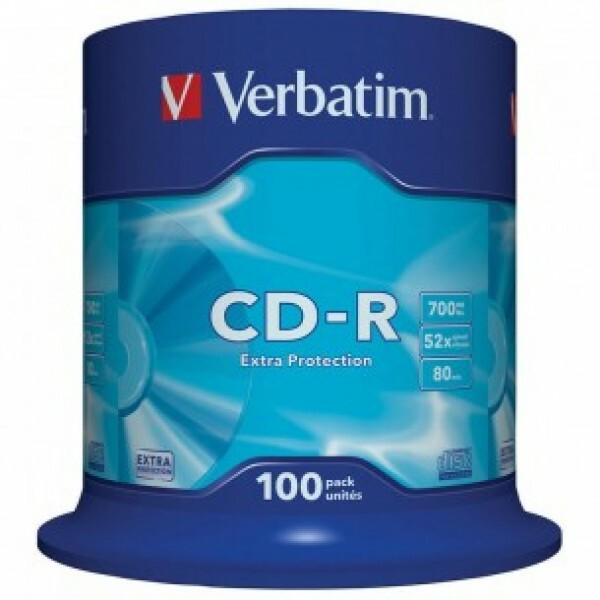 Package type: Spindle..
Verbatim CD-R 700MB 52x 50-pack. 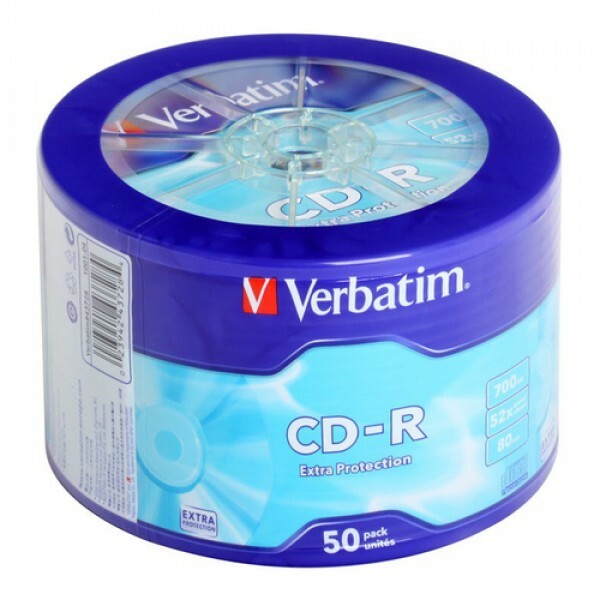 Type: CD-R, CD storage capacity: 700 MB, Quantity per pack: 50 pc(s). 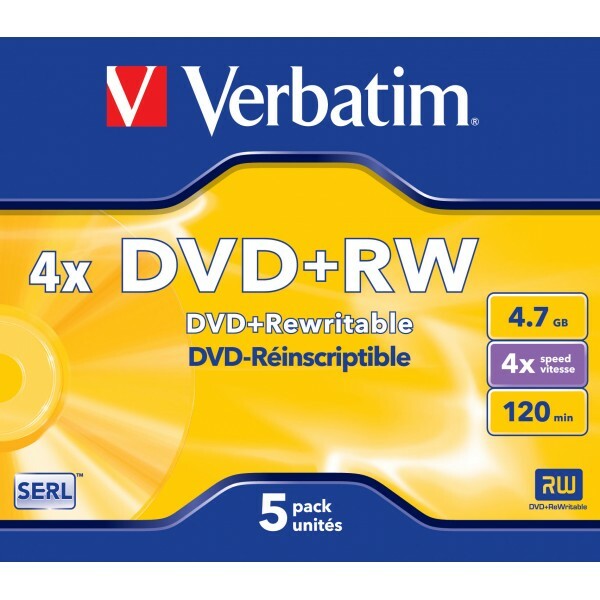 CD write speed: 52x..
Verbatim DVD-R Matt Silver 50 Pack Wrap Spindle. Native capacity: 4.7 GB, Type: DVD-R, Quantity per pack: 50 pc(s). 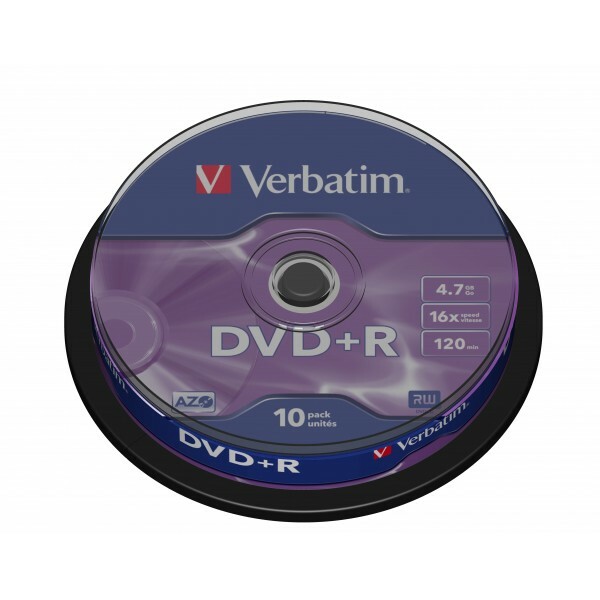 DVD-R write speed: 16x. Package type: Spindle..